Myrtle Beach South Carolina Memorial Day Weekend. Getting ready for Black Bike Week? Need Info? We Got You! Join the Black Bike Week Email List for All Parties and Info! 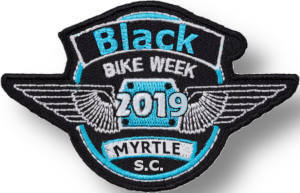 May 24 to May 29 2019, Memorial Day Weekend, over 500,000+ Bikers are going to take over the Myrtle Beach Area! Looking for the best spots? Hotels in the middle of the action that are Biker Friendly? Look not further, they're all right here! Book ASAP cause space filling up! Check out the Bike Week store for Patches, DVDs, Glove, And More! Official Black Bike Week Patch! 2 Inch High Qaulity 3 Color patch for only $10.00 plus s/h. Discount on Club Order! Order Your patch today. Videos to get you Hyped! Deals, specials, savings for Black Bike Week 2019! 7 Things That Will Destroy Your Trip!! The New Laws! What was Changed! Black Bike Week 2019 Hotels!! (800) 780-5733 Promo Code: "337435"
Listing of all Bike Week, Biker Events, and Motorcycle Rallies in the US! Recent Black Bike Week News!! Ruff Ryders MC announces Black Bike Week as the Official 2011 Memorial Day Event. 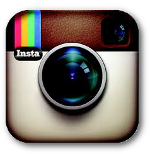 Check out the Blackbikeweek Blog, if you want to share a story or tips, let us know. 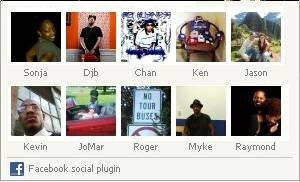 March 9, 2011 Black Bike Week Daytona 2011 is a huge success!! Tighman Beach and Golf Resort No longer allows bikes! !